When the doctor first went into the past there was a lot of talk about things that can be found in the bedroom (also a nice hint to girl in fireplace - no looking under the bed. "Halfway out of the dark"
I just thought this was an interesting quote. and i think it was mentioned a few times. Could this be referencing finished season 5 and the second half bing season 6. I think the new evil tardis is being controlled by a monster from the Doctors nightmares as a child. A manifestation brought on from the dreamlord. 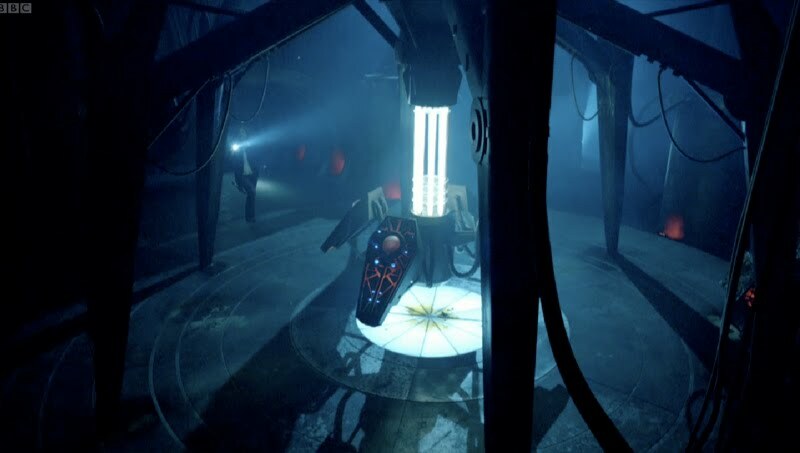 This new tardis is going back and changing time and causing everything to change and being rewritten hence a silence because it never existed. People that escape still have the memory of it being there because they have witnessed both time lines, just like in the Xmas episode, his memories were rewritten but he never changed.